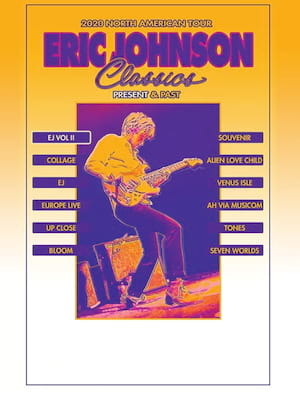 Eric Johnson tours in celebration of his 1990 album, Ah Via Musicom! Eric Johnson is hitting the road in celebration of his 1990, certified platinum album, Ah Via Musicom! Including the single "Cliffs of Dover" which won Johnson a Grammy Award for Best Rock Instrumental Performance. Eric will be performing with his original electric band, featuring Kyle Brook and Tommy Taylor, and also special guest Arielle. Best known for his electric guitar skills, Johnson is also a highly experienced lap-steel, resonator, bass and acoustic guitarist. His rsum doesn't end there, Johnson is also an accomplished vocalist and gifted pianist, the piano being his first instrument. Make sure you catch Eric Johnson when he comes to a venue near you! Sound good to you? 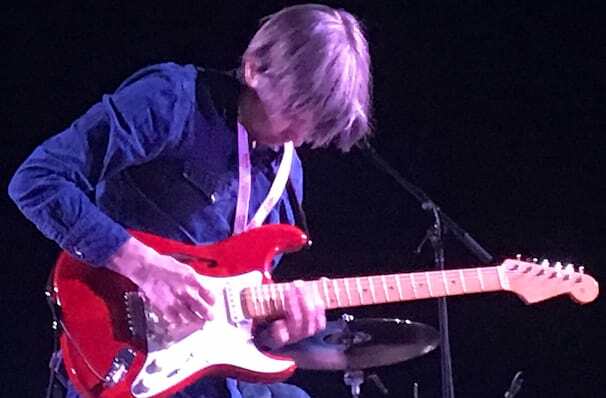 Share this page on social media and let your friends know about Eric Johnson at Barrymore Theatre. Please note: The term Barrymore Theatre and/or Eric Johnson as well as all associated graphics, logos, and/or other trademarks, tradenames or copyrights are the property of the Barrymore Theatre and/or Eric Johnson and are used herein for factual descriptive purposes only. We are in no way associated with or authorized by the Barrymore Theatre and/or Eric Johnson and neither that entity nor any of its affiliates have licensed or endorsed us to sell tickets, goods and or services in conjunction with their events.